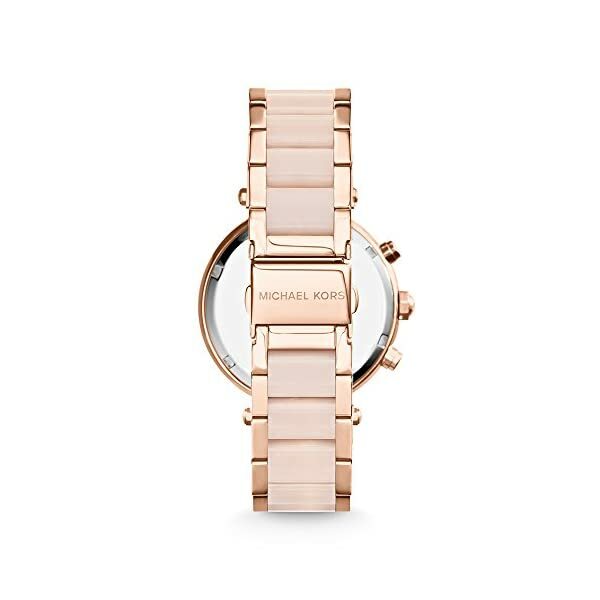 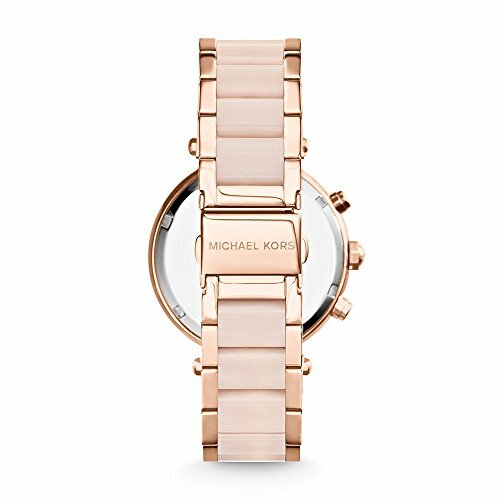 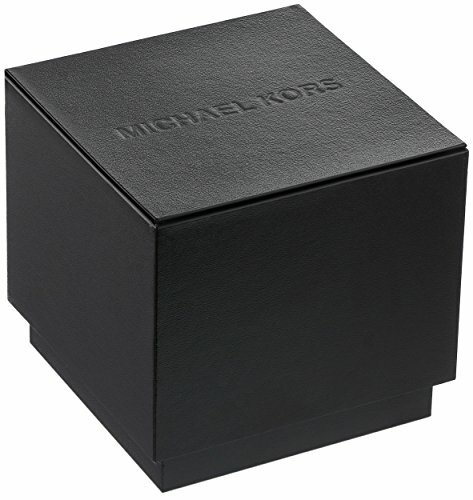 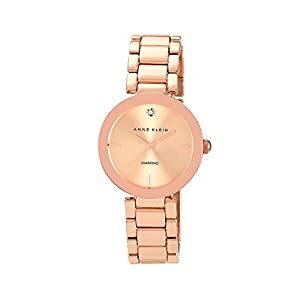 Rose gold tone stainless-steel case with a rose gold tone stainless-steel bracelet with blush acetate center links. 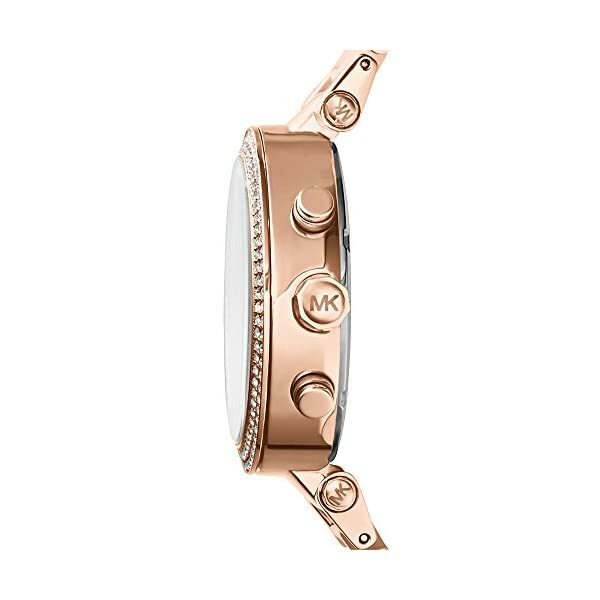 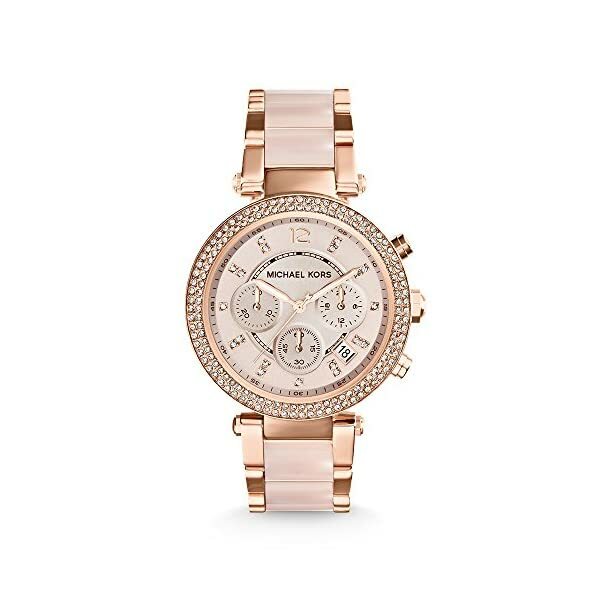 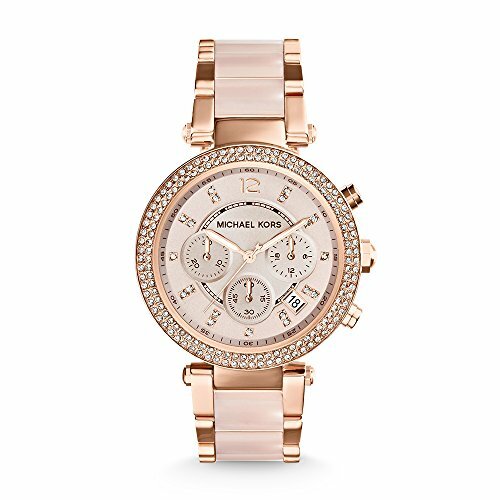 Fastened rose gold tone bezel set with Swarovski crystals. 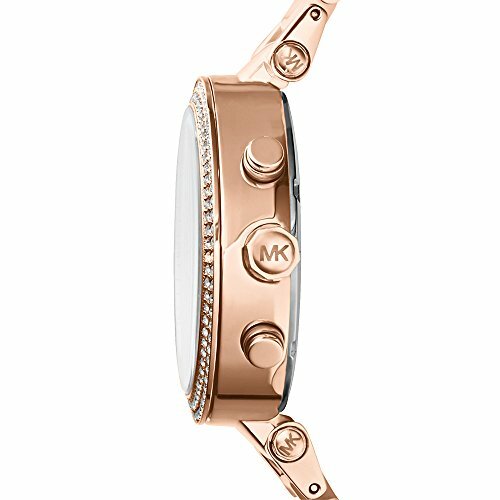 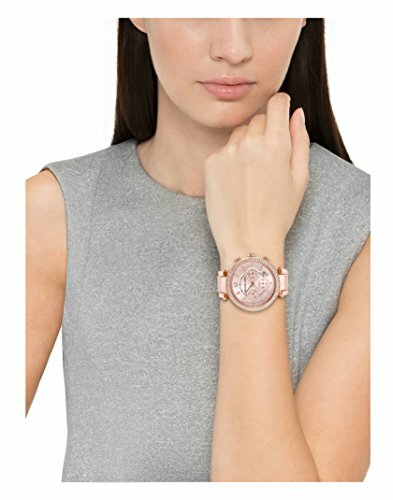 Blush dial with rose gold tone hands and Swarovski crystal index hour markers. 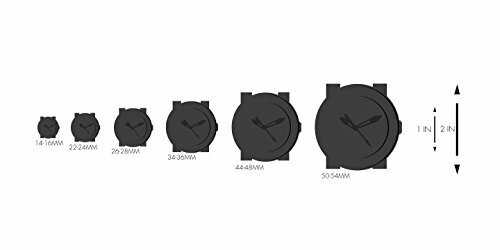 Water Resistance to100 meter.